Every home has different needs, and that’s why it’s important to select a roof that can meet your home’s specific requirements. Your climate, neighborhood, and even your lifestyle all play a big role in choosing the right type of residential roofing in Maryville, TN. Metal – One of the most durable materials available, metal is resistant to moisture problems and sun exposure. Metal roofs can withstand wind speeds up to 150 mph, keeping your structure intact all year long. Energy efficiency is probably their best feature; instead of absorbing heat, they reflect it into their surroundings. As a result, your home will remain comfortable even with minimal help from artificial systems. Tile – Tile roofs have a proven track record of weather resistance and longevity. With regular maintenance and roof repair in Maryville, TN, they can protect your home for up to a century. Wood – As they come from naturally renewable resources, wood roofs are among the greenest components you can add to your home. Wood shakes, in particular, are a preferred environmental choice because they have minimal impact on water runoff quality. They also offer a life span of up to 30 or more, making them a great investment in environmental responsibility. Asphalt Shingles – Most homeowners use asphalt shingles for their roof because of the materials’ superior aesthetic benefits. They offer rich colors and dimensions, adding a touch of character to your exterior. They also perform greatly in terms of durability and energy efficiency. Slate – If you’re looking for a sophisticated material for your home, slate is one of your best options. Some of their advantages include natural appearance, strength, longevity, and ease of maintenance. 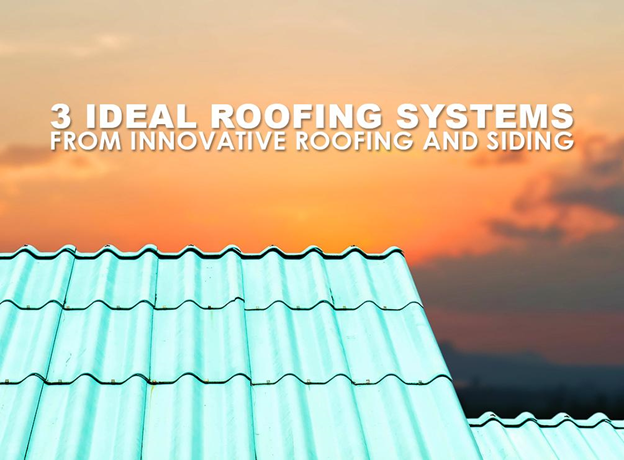 As your go-to roofing company in Maryville, TN, Innovative Roofing and Siding can install these high-performance systems for you. We are a GAF®-certified roofer, which means we have the necessary tools and expertise to do each job professionally. To get started, call us at (865) 688-2888 or complete our form. We look forward to working with you!